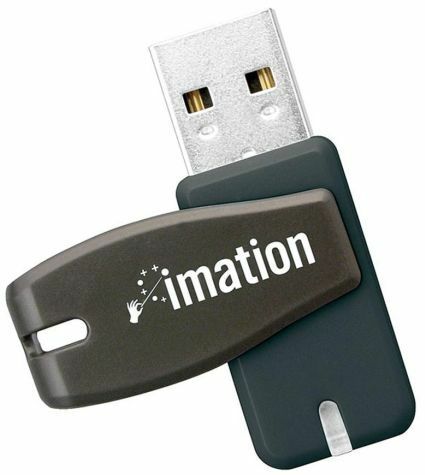 If you require a substantial amount of storage on your pen drive, Imation India has got a treat for you. The company has just announced a new addition to its Nano Pro Flash Drive, which takes the storage space up to 32GB. The Imation 32GB Nano Pro Flash Drive is the smallest of the Imation USB drive family and combines a professional design with the performance and storage capacity needed to easily manage and transfer digital files. Nano Pro Drive’s compact, lightweight and cap-less design allows it to easily slip into the pocket, onto a keychain or even the mobile phone enabling transporting and sharing everyday files extremely easy. It features an all-in-one swivel cap design that protects the drive and makes lost caps a thing of the past. The patented "never-lose" swivel cap, not only never gets lost, but protects the drive too such that the user is assured of complete safety. “Our Nano Pro Flash Drive combines professional design with performance and storage capacity needed to transfer and manage large digital files. It is an ideal solution for mobile consumers and business professionals. The innovative 360-degree rotating swivel cap allows for easy access to USB ports in tight spaces circumventing the need for additional USB cables,” said Sandeep Popli, Head – Sales & Marketing, Imation India. Combined with the password protection and drive partitioning software for Windows, the Nano Pro Flash Drive is an affordable way to safely transfer data, music, photos or video. Besides Windows, it is compatible with Mac OS and Linux as well. The plug-and-play format allows you to drag and drop files with ease on almost any computer with a USB 1.1 or 2.0 port. No software installations, additional power supply or cables are required for using the pen drive. Convertible Laptop(with active digitizer,pen support) with Discrete Graphics card.